President Moon Jae-in made a rare trip to the National Cemetery on Wednesday to pay his respects to the country's war veterans and heroes before starting the first working day of the new year. 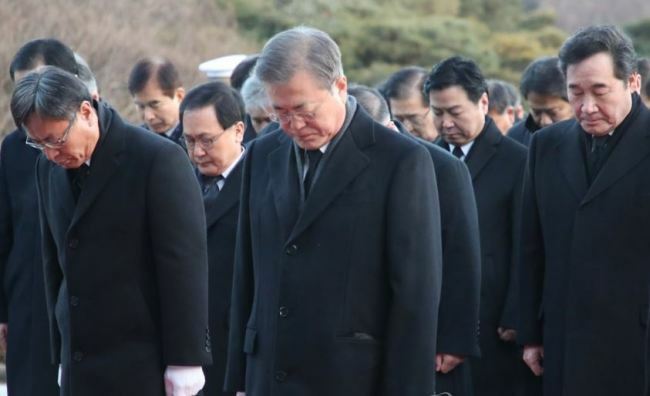 The president was joined by all 19 members of his Cabinet, including Prime Minister Lee Nak-yon, on his visit to the Seoul National Cemetery. Such visits are customary for the president and other leaders before or after major events.